What is the basis of Biblical credibility? Why should one believe the claims of the Bible verses the claims of any other book or individual claiming to have some kind of Divine message from God? 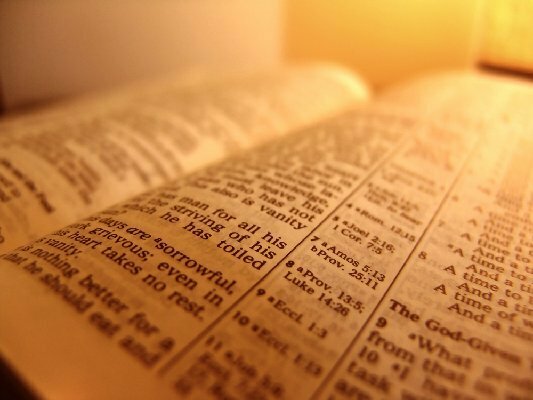 Is the Christian required to blindly accept the Bible as true? – without any rational or logical basis for belief and in possible opposition to the significant weight of empirical evidence? Must the Christian faith subscribed to a form of fideism? Do you really know what you are signing on for with your acceptance or acquiescence to Sean’s views on scientific evidence or data which I described as non-sense? So according to this any scientific evidence for the reality of a 6 day creation is based on the credibility of the Bible. The same is true of the credibility of any historical claim by anyone. A rational belief that something happened in history as described by some historian, such as Josephus for instance, is entirely based on the established credibility of the author (given that the event itself cannot be directly evaluated). How then is credibility established? I am now confused – don’t the evidences for these evidences rest on the credibility of the Bible? No. These Biblical claims are actually open to testing and potential falsification by comparing these claims with the evidences we have in the natural world. In other words, is there actual evidence of a recent worldwide Noachian-style Flood? Is there evidence of mass worldwide extinctions as a result of this Flood? Is there evidence for a recent arrival of all life on this planet? If the evidences are consistent with the Biblical claims, the Bible gains credibility. If they are inconsistent with the Biblical claims, the Bible loses credibility. It’s quite a simple and rational concept and it is used all the time. As an example, consider the claims of the Book of Mormon regarding the origin of the American Indians as being one of the “lost tribes of Israel”. This claim can be tested, genetically, to see if it’s true. Clearly, this claim is effectively falsified. And therefore, for the rational person, this falsification of a key claim from the Book of Mormon significantly undermines its credibility with regard to those claims that cannot be directly tested. What exactly are the testing procedure for the credibility of the bible if no historical criticism can be allowed? Who said no historical criticism can be allowed? Historical criticism is perfectly fine – as long as it can be empirically supported with the weight of evidence. So far, however, Biblical critics have been on the losing end so many times its hardly worth counting. The Bible has be vindicated over and over and over again in the face of the “higher critics”… only adding further to its credibility. Beyond that there are no cogent models of either the young life or the flood. Both of these have been rejected by the conventional science because there is no objective evidence for them short of religious assertion. Simple things like the Grand canyon as an evidence of a universal flood are rejected by geology. It is hard to conceive of how large eolian sandstone deposits (Coconino) could be placed within layers of clearly sedimentary deposits within a single flood. The Grand Canyon wasn’t formed by the Flood. It was formed after the Flood by the catastrophic failure of a large inland lake and then subsequently by catastrophic failures of lava dams that suddenly released huge volumes of water. As far as the Coconino Sandstone is concerned, there is good evidence that it was catastrophically deposited by water. It simply does not represent a desert or “eolian” environment at all. How exactly without critiquing the Bible which is viewed a source of scientific evidence or of proposing testable hypotheses? The Bible should be critiqued in a critical manner before accepting it as credible regarding anything it has to say about history or God or other metaphysical “truths”. Fideistic faith, without any ability for testing or potential falsification, is worthless if one wishes to move beyond wishful thinking and a personal fantasy world. Now we get to it. Opinion can now be part of the “weight of evidence” which fits entirely with the Pitman model of science where personal anecdote is equivalent to the literature of science if it is based on some scientific process of personal hypothesis testing and conviction based on that method independent of any repository of knowledge, expertise or consensus. Again, you defined “science” as the consensus of experts. That means, does it not, that it is impossible for anyone to come to any rational conclusion, via scientific methodologies of any kind, which are opposed to the consensus of mainstream scientists? If this really is your position, you just removed many famous scientists, who personally opposed the consensus of experts of their own day, from the realm of science. Consensus means nothing if it is opposed to the clear weight of evidence – evidence which can be and often has been discovered by a single individual. So now we have the completion of the circular argument. The evidence for the features of nature that support the fiat creation and the flood is the bible account and this evidence shows the credibility of the Bible and its account of the events. The argument is not “circular” at all. Credibility is established by independent evidence, outside of the source itself. Once established, it is perfectly reasonable to cite the source as being most likely accurate with regard to those claims that cannot be directly tested. Tell me, why do you believe in the truth of the historical claim for the what happened during the Battle of Issus between Alexander the Great and Darius III in 333 B.C.? If you accept the Pitman doctrine of science you will not only have to teach students about ID/creation and how “data can fit into this paradigm” but you will have to revise you ideas about data and will have to teach an entirely new way of understanding “weight of evidence” or data as being not just the peer reviewed literature of science but every hypothesis testing analysis, anecdote and piece of religious writing based on the Bible. Some in ID have accepted that as you will find if you look at what S Schiller has written in the thread on the blindingly obvious”. You will need to teach both theistic science; the science which is required to sustain ID arguments as Sean has done here and conventional science as it has been done for many many years which assumes only natural process a particular method of science and an accepted repository of scientific knowledge. The repository of knowledge that is the basis of modern western technology and medicine beloved and embrace by almost all students. Do you want students to be taught these 2 methods of science and allowed to arbitrary choose what they would like according to their preconceived prejudices? If our schools do not teach the rational basis for why the church disagrees with mainstream scientists, you undermine the very reason for having a church school – rather than adding yet another secular university, funded by the church, that promotes the usual philosophical Darwinian dogma. Again, Darwinism isn’t science, but philosophy. The weight of actual empirical evidence in hand is completely opposed to the notion that random mutations and natural selection can create anything beyond very low levels of functional complexity – even if trillions of years of time were available. Your argument that some future discovery will come along to explain how it happened via some mindless mechanism isn’t scientific either – it is a philosophical, even a religious, argument that is based on wishful thinking, not the current weight of evidence that is actually in hand. 1] You have no criteria for scientific evidence. Your ideas completely lack rigour. You seem to equate history the bible and anecdote with scientific evidence. You seem completely impervious to S Schillers insightful comments on tools and process. and the consensus embodied in the USGS description. 3] You seem so devoid of original thought that you can only react in 4 of the last 5 post to what I have said. I do feel sorry that you cannot see that there is a world of unexplored scientific questions and knowledge and you can do no more than doggedly defend an insignificant part of that terrain with arguments and positions that I and most scientists would think anachronistic. Be open. Truth can afford to be scrutinized. God can defend Himself he doesn’t need you to fight against reality in His name. He remains even if life is billions of years old. Consensus science is not science. Plenty of data for the Coconino sandstone as water born. The Coconino Sandstone, long claimed to be sand dunes turned to rock, are too fine-grained to be aeolian (wind-blown) sands, and cover too a vast an area (much of the Southwest: 100,000 square miles, with a volume 10,000 cubic miles) for this scenario to be plausible. The crossbedding could have been laid down as sand waves by deep ocean currents. The fossil trackways could have been made in shallow water and would have had to be buried suddenly to be preserved. All other layers in the canyon are indisputably water-deposited. To believe the Coconino was wind-deposited, the entire region would have had to be lifted above sea level without cracking or folding, yet the contact with the water-deposited Hermit Shale below it is flat and smooth. 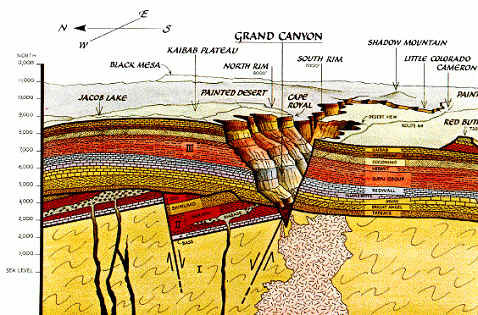 This indicates that deposition of the Coconino in the Grand Canyon began immediately after the Hermit formation, without 10 million years between them. @Gene Fortner: Gene, your observations regarding the Coconino Sandstone are excellent. And they affirm the importance of Louis Agassiz’ dictum, “Study nature, not books.” It is very easy to quote some supposed authority on the Coconino Sandstone, but if a person really wants to understand that formation, it must be viewed firsthand. After all, the supposed authority could be mistaken! I wonder if our friend, Paul Cameron, has actually been to the Grand Canyon to see the Coconino Sandstone. I have, and what you have said about the flat contact line with the water-laid Hermit Shale is true. If the Coconino Sandstone had an eolian origin, that flat contact line with a water-laid deposit doesn’t make any sense. Wiki is not a reliable source. you will see an alternative view. It seems the geological survey sides with the eolian origin rather than the flood version but maybe they dont suffer from the same level of confirmation bias. What do I believe? I am happy to say I dont know. For me there are much more interesting questions than the eolian or non-eolian origin of the Coconino sandstone. The criteria I have for scientific evidence is the scientific method itself. For instance, my ideas are testable and potentially falsifiable – while yours do not seem to be (at least not to me). After all, you’re the one arguing that future discoveries will support your position even if the required evidence isn’t currently in hand. How is that a scientific position? You also appear to argue that if a conclusion is “blindingly obvious” then it really isn’t a scientific conclusion. How is it that simple conclusions cannot be achieved scientifically? Where in the scientific method are “blindly obvious” conclusions not allowed? As far as history is concerned, are you suggesting that the study of history cannot be approached in a scientific manner? Or, am I misreading you here? Also, where did I argue for anecdotal science? What I argued for is historical science – the same science used to determine the credibility of stories about historical figures like Alexander the Great or Genghis Khan. Do you wish to argue that these stories are based on “anecdotal evidence”? Did you actually read what I wrote? I don’t dismiss the arguments for the eolian origin of the Coconino Sandstone at all. I address these arguments in some detail in fact. What do you have to say for why all the trackways within the Coconino, including very finely preserved and very detailed trackways, are headed uphill? and why this sandstone is so pure? – without the preservation of plant or animal remains or significant burrowing or bioturbation? – and why the horizontal horizons are so smooth and flat over huge areas? 3] You seem so devoid of original thought that you can only react in 4 of the last 5 post to what I have said. I’m sorry, but I don’t follow your point here? Also, what does original thought have to do with an idea being right or wrong? A lot of non-original ideas are none-the-less true. I do feel sorry that you cannot see that there is a world of unexplored scientific questions and knowledge and you can do no more than doggedly defend an insignificant part of that terrain with arguments and positions that I and most scientists would think anachronistic. The same thing was said of Einstein by many scientists when he first presented his theories. Who cares if you and the majority of scientists disagree with me if you cannot answer very simple questions regarding the very mechanism of Darwinian evolution? You admit that you have no idea how random mutations and natural selection can create anything beyond very low levels of functional complexity. Yet, you are confident that this mechanism, or some other mindless natural mechanism, did the job and that future discoveries will demonstrate this reality. Again, call me crazy, but that’s not science. That’s your own personal philosophy which happens to be popular right now among most scientists. Be open. Truth can afford to be scrutinized. God can defend Himself he doesn’t need you to fight against reality in His name. He remains even if life is billions of years old. I agree. By all means scrutinize my position. Please show me where I’m wrong. Don’t just list off a bunch of references and tell me that someone else knows the answer. Present the argument to me yourself. Show me how easily random mutations and natural selection can create beyond very low levels of functional complexity. Show me how the detrimental mutation rate can be overcome by natural selection for slowly reproducing creatures. I’ve been waiting a very long time for you to present an actual argument in response to these simple questions that doesn’t depend upon some future discoveries. Where is the science that is currently in hand to support your position? You ask me to be open to the possibility that I’m wrong. I am open to this possibility. I most certainly could be wrong. But, why should I admit error that I do not yet see? And, what about you? Are you open to the same possibility? – to the possibility of being wrong? I know that someone who favors fideism doesn’t like to consider even the potential of being wrong. Why then is it Ok for the thoughts and ideas of others to be scrutinized? – but not Ok for Neo-Darwinism to be scrutinized? Is it possible for God to hide Himself from empirical detection by scientific methodologies? – methodologies that could be used to detect a truly artefactual radio signal or a granite cube that is a “blindly obvious” product of intelligent design? Sure. God could hide Himself from us is He wished. However, if God does exist, it is also possible that He wishes to reveal Himself in a clearly detectable manner through the works of His own hands. And, who are you to say that this is impossible? That God cannot reveal Himself in such a manner? Really? How do you test and falsify 6 day literal creation? And if you can’t will you not admit that this is purely a theological idea, not empirically supported by science. 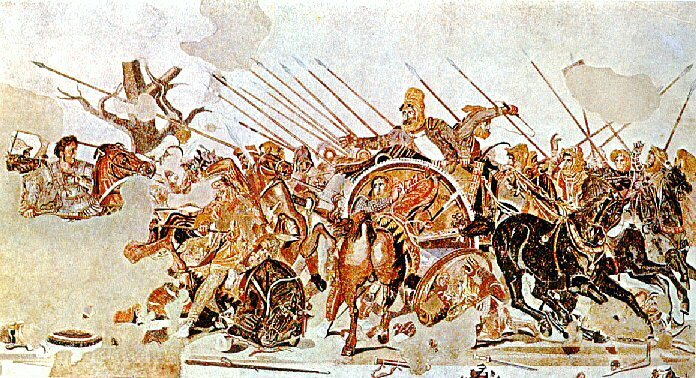 How do you test the story of the Alexander the Great’s victory at the Battle of Issus in 333 B.C.? Yet again, the claims of the Bible that can actually be tested impact its overall credibility with regard to those claims that cannot be directly tested. The same is true of any science, to include historical sciences like Darwinian evolution. Those claims that can be tested impact the credibility of the entire theory with regard to those claims that cannot be directly tested. In particular, the fact that the Darwinian mechanism of random mutations and natural selection simply doesn’t work beyond very low levels of functional complexity is a huge problem for the credibility of the overall theory. 1. I suspect you are no Einstein no matter what your opinion of yourself may be. 2. You are an educated individual who does not need to be spoon fed. 3. I am not prepared to try to teach you anything even if I had some expectation that you were truly interested to argue from any of the usual assumptions and presuppositions of science and clearly have made no attempt to accurately represent my position before making your argument. Then it should be very easy for you to demonstrate how my errors are so “blindingly obvious”. After all, the same thing was said about Einstein by people like you in his day… all without any appeal to actual evidence to counter his position. Evidently not. I do wish you to “spoon feed” me the answers to my questions. Please, don’t just cite hundreds of irrelevant papers which you yourself haven’t read (aka: reference mining). Simply list off your actual argument to counter my position and the supporting evidence which effectively falsifies my claims. I have no desire to misrepresent your position. If I have in fact misrepresented some aspect of your position, by all means do correct me. Beyond this, if you have no desire to teach me anything (and by default anyone who might read through these discussions), why are you here? After all, if your position is so obviously true, it should be very easy to show me, and everyone else, the error of my ways. I’m not trying to destroy real science, but to promote real science in the face of secular religion and philosophy. Real science, the ability to think scientifically, was created and given to us as a gift of God. It therefore cannot but be in harmony with the written Word (rightly interpreted). This particular view was held by some of the most famous scientists in history – like Sir Isaac Newton for instance. Surely you cannot argue that these great men of science weren’t doing real science because of their arguments for discovering the works of a great and intelligent mind? – the works of God’s own hand? – that Nature Herself speaks of her Creator in a language that all can understand? – the language of science? In any case, you are welcome to your opinions as well, but not on the dime of the SDA Church. It is simply dishonest to expect payment from any organization while undermining the primary goals and ideals of that organization. I accidentally clicked the “thumbs down” icon on your reply to pauluc, making the marker show 7 thumbs up vs 5 thumbs down. It should read 8 thumbs up , and 4 thumbs down . It may not matter to all, but it matters to me. That’s Ok. The voting feature is just a curiosity that gives some idea of readership and interest in a comment – up or down. Jim, If a “down” click had any influence on anyone’s opinion, I would hope no one would respect that person. Hopefully, we are not swayed by the up and down thumb, but rather by viable arguments for or against any position. If I posted a position with the hopes of winning a popularity contest, I have lost, thumbs down. But if someone agrees on some level with what I have posted, it is some encouragement, none the less. I’ve been watching closely for rational arguments but distressed to see an abundant psychological element. With such a claimed mass of scientific evidence for organic evolution, it ought to be easy to show an opponent his error. If there is abundant evidence against a position, it should be made available. Sean Pitman: Please, don’t just site hundreds of irrelevant papers which you yourself haven’t read (aka: reference mining). Simply list off your actual argument to counter my position and the supporting evidence which effectively falsifies my claims. Do you know enough to dismiss expertise in biology geology or any other field of research or not? An honest scientist would have sufficient respect for the process to be intimately familiar with the original data and literature in that field before dismissing the prevailing paradigms by those that are. I am expert in only a small area of science and would accept in good faith consensus conclusions in others as closer to the truth than my facile understanding. This I have consistently done. If I want to disagree I would become familiar with the scientific literature clearly defined as the peer reviewed literature and that is what I expect of you. You claim the experts are wrong and I point you to what you have to address. It is totally irrelevant whether I am familiar with every piece of data since I am a very conventional scientist and physician who accepts both the accepted method and the canonical literature of medicine and science. I have never claimed to have sufficient expertise to discount these observations and conclusions. You do. It is not incumbent on me to compensate for your lack of intellectual rigour by thinking for you. I unfortunately cannot make you honestly address that data or the accepted methodology of science. I am clearly wasting my time and too much red ink here. I continue to pray for you and that your designs on honest scientists at Adventist Universities will indeed be thwarted. I’ve read a bit about this topic over almost 20 years. However, I have not come across any argument, published or unpublished, which explains how random mutations and natural selection can tenably explain anything beyond very very low levels of functional complexity. And, now you seem to be telling me that you don’t personally know of any such published arguments or demonstrations either. After all, I’ve asked you to present such an argument or illustration or demonstration now for a couple of years and you’ve yet to present a single argument or paper along these lines – not one. You’ve told me to do PubMed searches and all, but you’ve failed to actually identify any single relevant paper or argument of any kind that addresses this fundamental question for Darwinism. What you seem to do is what everyone else seems to do – cite low level examples of evolution in action and then extrapolate to higher levels of evolution with the assumption of a linear relationship. When it is shown to you that your linear extrapolation models don’t represent actual reality (an exponential relationship), you have no explanation other than to try to argue that the concept of “levels of functional complexity” hasn’t been defined in literature (which is false) or to argue that some future discovery is sure to support your position (which isn’t scientific). Are you saying that you simply accept the claims of experts without a personal understanding of how the Darwinian mechanism actually works at higher levels of functional complexity? – therefore it must work even if you personally do not understand how? If so, how is that any kind of challenge to anything I’ve presented? – besides to tell me that experts disagree with me for some reason that you personally don’t understand? Why do they disagree with me? You don’t seem to know. How is that helpful to me or anyone else who sincerely comes to you and asks you, personally, how random mutations and natural selection could possibly do what neo-Darwinians, like you, claim it did? If you don’t know the answer to this very basic question of Darwinism, why not just say so up front? Why even pretend that you know the answer when you really don’t? If you can’t tell me how the mechanism works, why even think to argue that I should accept something that you yourself admittedly don’t understand? – based only on the word of a bunch of experts? Why even waste your breath trying to convince anyone to accept something that you seem to only understand as a matter of faith in the bold claims of others? I appreciate that. I know that you are sincere and honest in your position, and that’s the most important thing in my book. My prayers are with you as well. Richard Gates: With such a claimed mass of scientific evidence for organic evolution, it ought to be easy to show an opponent his error. May I suggest you look at the recent flood of data following the Gossypium and Brassica genomic sequencing and ask yourself a couple of questions. 1] Did the existing species of cotton and mustard arise from a kind taken on the ark or saved miraculously on log raft during the flood or were all the existing species taken on the ark? 2] Does the variation between the species with their extensive polyploidy look like evolution by “anything beyond very low levels of functional complexity”? Is the total genome complex or not? Is gene duplication complex? Was the change to spinnable cotton “anything beyond very low levels of functional complexity”? Sean will respond to this question to you either by interposing a bunch of hocus-pokus or by not posting this comment at all. Sorry I will not give you the references as Sean doesn’t like me posting references to real data. Just look it up on google and look at the original data in the scientific journals. Doubt the creationist sites will reference this. Sorry. You’re talking about plants here. Plants did not need to have been taken on the Ark to survive – only land animals. Is the total genome complex or not? The genome is a collection of systems that function at both low and high levels of functional complexity. And, the aspects of the genome that require a minimum of more than 1000 specifically arranged residues were already there to begin with – within all gene pools. In this light, consider that making a bunch of 3-letter words is not the same thing as making a single system of function that requires a minimum of 1000 characters to be in place and specifically arranged before it will work at all. That’s an entirely different problem and statistically unlikely, very unlikely, this side of trillions of years of time. No. Gene duplication is very simple when you’re talking about functional complexity – and is fairly common. Gene duplication, by itself, does nothing more than produce more of the very same thing. And, it doesn’t improve the odds of finding something qualitatively new within sequence space at a given level of functional complexity. Was the change to spinnable cotton “anything beyond very low levels of functional complexity”? If there were such a “high level” change, you would no doubt share it with us. So, what was this high-level change where something qualitatively new was evolved that required a minimum of more than 1000 specifically arranged residues to work? When have I not posted your comments? And, when is asking for an actual example of a novel system evolving that requires more than 1000 specifically arranged amino acid residues an unreasonable request? If there is any interposing of a bunch of hocus-pocus here, it’s your argument that some future discoveries are bound to come along to support your Darwinian position – despite any current evidence that might appear to undermine your position. What? I’ve been asking you to post a reference to real data over and over again which actually addresses my primary question to you regarding evolution at various levels of functional complexity. What you’ve done in the past is to post some PubMed search that returns hundreds of irrelevant papers that simply do not address this question at all. What I and others would very much like you to do is to quote a specific portion of a paper that you think is relevant and then explain to me why you think the reference is relevant. This is what you have yet to do. 1] Were there Tibetan Boars, asian domestic pigs and european domestic pigs on the ark or did they all arise from a pig kind? 3] Do you think that this represents “anything beyond very low levels of functional complexity” and that the adaption to high altitude in the Tibetan boars is insignificant and very very low level functional complexity? Do you think that this represents “anything beyond very low levels of functional complexity” and that the adaption to high altitude in the Tibetan boars is insignificant and very very low level functional complexity? Does a useful degree of adaptation to high altitude in Tibetan Boars necessitate, at minimum, a qualitatively novel protein-based system that requires more than 1000 specifically arranged amino acid residues? If you think so, please do present the novel system that evolved and provide its minimum size/specificity requirement. As a relevant aside, what is the minimum size requirement for the evolved antifreeze proteins in fish (and other organisms) that live in very cold environments? Do you see any higher level evolution here? – even close to the level of 1000 specifically arranged amino acid residues? I have argued previously that Sean’s fixation on his model of islands of protein sequence in sequence space is simplistic and probabilities likely incorrect. Have a look at this recent summary of work on molecular crowding and ask yours self is Sean really on top of the literature from even a year ago? Should you really be regarding him as your oracle? Shouldn’t you like the Bereans look at the literature to see if what he says is so? What does “molecular crowding” (the fact that a cell’s cytoplasm is densely packed with all kinds of molecules) have to do with the concept of discovering new types of beneficial proteins within “sequence space” at various levels of functional complexity? You do realize that sequence space is the space that contains all possible protein sequences of a given length? – and that sequence space has absolutely nothing to do with “molecular crowding”? In other words, the fact of molecular crowding doesn’t make it any easier to find the rare islands of novel beneficial sequences within the vast ocean of sequence space via random mutations. For example, what is the sequence space size for sequence length of 100aa? It is 20^100 or 1e130 sequences. This is a larger number than all the atoms in the visible universe (~1e80 atoms). Clearly, the concept of “molecular crowding” has nothing to do with the concept of sequence space, which is an entirely different concept. The question is, what is the ratio of potentially beneficial vs. non-beneficial sequences within sequence space? In other words, how many random mutations would it take, on average, to an existing sequence within a genome to get it to mutate into another kind of beneficial sequence? That’s the real question. Here’s a big clue for you: The density of potentially beneficial sequences within sequence space is very low, even at low levels of functional complexity. It is not “crowded” at all – not even close. There are always more non-beneficial sequences compared to potentially beneficial sequences in sequence space. And, it gets exponentially less and less crowded (with potentially beneficial sequences) with each step up ladder of functional complexity (i.e., with each increase in the minimum size and/or specificity requirements under consideration). This means, of course, that it is exponentially harder and harder to find, within a given span of time, novel islands of beneficial sequences within sequence space at higher and higher levels of functional complexity. What you need to do is show some evidence that any of the current hypothesis of biological evolution can produce new organs and body types. Otherwise you are just wasting all of our time. Bob Helm: I wonder if our friend, Paul Cameron, has actually been to the Grand Canyon to see the Coconino Sandstone. I have, and what you have said about the flat contact line with the water-laid Hermit Shale is true. If the Coconino Sandstone had an eolian origin, that flat contact line with a water-laid deposit doesn’t make any sense. Indeed you do have to see the grand canyon on foot from top to bottom to appreciate the astonishing chutzpah of people like Steve Austin, George van Burbach, John D. Morris, Andrew Snelling, and Kurt Wise who wise in their own minds spin a story that to my simple mind does not sound at all credible. A story which is totally contingent on their religious beliefs that totally discounts the work of an army of geologists who with no existential angst about the research outcomes or conclusions have tried to understand this amazing site. I do not claim to know much about geology since it really doesnt matter to my faith or belief in Jesus Christ what is the provenance of the grand canyon. I can happily say I do not know. I do however recognize vested interest when I see it. That they are mouthing the same words as a slick sharlatan like Kent Hovind doesnt increase credibility. You really should go out a little more often if you have not seen sand dunes encroaching on the mud of a flood plain one grain at a time. So, you’re telling us that you personally cannot substantively respond to the questions raised that challenge the eolian origin of the Coconino Sandstone? and claim that you don’t even have an interest in this topic? beyond citing the majority opinion of scientists? How helpful is that? I already know what the mainstream opinion is. What I don’t know is how mainstream scientists explain the numerous features of this particular layer of rock that seem to strongly favor a catastrophic watery deposition over a very short period of time? @pauluc: That Kent Hovind is a slick charlatan is a fact. And the other Ph.D. trained scientists you mentioned would agree with me. The nonsense that Kent has spouted has no bearing on this subject, and your argument about guilt by association doesn’t work. 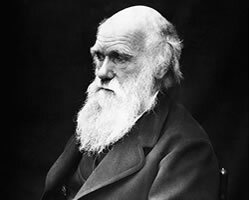 Remember, there was also a slick Darwinist charlatan who constructed Piltdown Man from a medieval human skull and the jaw of an orangutan. But even though many doctoral dissertations were written on that ridiculous fake, I will not slur modern Darwinists with it! But Paul, everyone who has a serious hypothesis about the formation of the Grand Canyon has formulated it using certain presuppositions – which means that everyone has a vested interest, not just the creationists. When you look at the Grand Canyon through your uniformitarian glasses, their “story” does not seem credible. However, when I look at the Grand Canyon, it practically screams catastrophe, but I am looking at it through different glasses than you are. Austin and others based their analysis on data. > Geology is totally preoccupied with time. Time’s passage is recorded by the presence of rock units, but not every geological event is preserved in stone. The absence of a record is of equal importance. Missing time results from rock units that have either eroded away or from periods of time in which no sediment was deposited. Such a gap in the temporal record is called an unconformity, and it’s the geologist’s business (and passion) to decipher what happened during it. > Near the bottom of the Grand Canyon, a sandstone formation from the Cambrian called the Tapeats rests upon metamorphosed schist from the Precambrian called the Vishnu. Mysteriously, the rock layers that once existed between the two formations are missing. Perhaps they never even formed. Regardless of the cause, the space of that paper-thin contact represents an enormous amount of time unaccounted for, far greater than all the others, on the order of a billion years. That’s a quarter of the age of the Earth. Missing! > The immensity of this particular time gap has been recognized by geologists that have singled it out as the Great Unconformity written with capital letters. John Wesley Powell, the intrepid explorer, scientist and geologist of the American Southwest, first recognized the time gap in 1869, but failed to appreciate its enormity. The Great Unconformity is not just found within the Grand Canyon but occurs in various locations within the Southwest. In fact, it can be found where ancient Laurentia’s Cambrian shelf is exposed and even globally where continental shores received deposition during the Cambrian. Back in New York State where I’m from, we have a Great Unconformity in the Adirondack lowlands in which the Middle Cambrian Potsdam Sandstone overlies a Middle Proterozoic Grenville gneissic-basement on Laurentia’s eastern shore. @Gene Fortner: Gene, thanks again for your insights. I would suggest that the Great Unconformity probably represents the onset of the Genesis Flood. You are absolutely right Sean. I do not at all understand the mathematics of sequence space even in Wiki and certainly could not understand the maths. That is why I accept expertise of others and rest easy in the understanding that I have access to such expertise should it impact my life. and MNR or multinucleotide replacement. The basic math regarding sequence space is relatively simple. For instance, it is very easy to calculate the sizes of sequence space at various levels by simply taking the number of characters in the alphabet and raising that number by the power of the minimum size requirement for the sequence (i.e., the sequence space size needed to hold a 100aa protein is 20^100 = 1e130 sequences). It is also relatively easy to calculate the number of potentially beneficial sequences within sequence space. And, it isn’t that much harder to determine that the distribution of these beneficial sequences is essentially uniform throughout sequence space (although beneficial sequences are clustered into island groups). This information is enough to understand that exponentially greater amounts of time are required for random mutations of any kind to achieve anything beneficial within a higher level of functional complexity. What do these articles have to do with finding novel beneficial islands within sequence space at various levels of functional complexity? Nothing. Nothing at all. They simply discuss various types of mutations and the differences between genes, but say nothing about the odds of finding a qualitatively novel island of beneficial sequences within a given level of sequence space at a particular level of functional complexity. First off, the function in question already existed in the gene pool to begin with, just at “low levels” of activity. Second, a simple increase in the copy number of the gene enhanced the very same type of function – easy. Nothing qualitatively new evolved here. Third, the function in question is an enzymatic function that doesn’t require more than a few hundred specifically arranged residues for minimum selectable activity. No wonder this process is very rapid! Of course it would be since it is about as low-level as you can get. This is nothing like what it would take to actually find the minimum structural requirement needed to get a qualitatively novel function to work to at least some minimal selectable level of activity. And, this doesn’t even come close to the minimum requirement of 1000 specifically arranged amino acid residues. @Gene Fortner: Who is the we. Have you actually done any experiments on drosophila? Why would you challenge Gene’s personal exposure on a subject while your consistent position is to “accept in good faith consensus conclusions in others as closer to the truth than my facile understanding”? Sean Pitman: Does a useful degree of adaptation to high altitude in Tibetan Boars necessitate, at minimum, necessitate a qualitatively novel protein-based system that requires more than 1000 specifically arranged amino acid residues? If you think so, please do present the novel system that evolved and provide its minimum size/specificity requirement. Here is where we perhaps agree the members of the pig family including Tibetan boar and european domestic pig have evolved by a lot of simple changes from a common ancestor a pair you would consider arkic travellers. I would consider more likely a population of ancestoral pigs since my view of population genetics is much more conventional. I do not think there was any particularly dramatic differences between them such as would be needed to travers your 1000 FSAAR limit. Admittedly there are unique genes in each species but most of these genes do have homologs in other mammalian species so could have evolved by simple loss of some genes in the different species of genes present in the presumed ancestor. Do you not agree? As you already know, I do believe that the evolution of a lot of simple genetic changes is in fact the reason for the genetic differences between different kinds of pigs or dog or cats, etc. I also believe that these simple changes can happen very rapidly. So, I ask you, why did you present this example given that you already knew that it was yet another example of low-level evolution? Why not present just one example of higher level evolution in action or at least explain how such evolution is even likely, statistically, within a reasonable span of time? – like this side of trillions of years? Now, I know you’re probably going to argue, yet again, that these lower level changes can add up over time to produce higher level changes. However, that’s just not true. Lower level changes remain lower level changes no matter how many of them might be realized. They simply do not add up over time to gain higher levels of functionality – i.e., qualitatively novel systems of function that requires a minimum of more than 1000 specifically arranged amino acid residues to work. The assumption that a bunch of lower level changes will eventually add up to produce more functionally complex systems is a false assumption that misunderstands the nature of sequence space and the statistical limitations involved with the problem. Now, what does your red herring question have to do with answering my question? What qualitatively novel functions have Tibetan boars evolved, beyond very low levels of functional complexity, that weren’t already within the parental gene pool of all boars/pigs? Assuming that the rate of mutation in pigs and boar has remained constant over the last 4000 years since you say that the rate is the same now as then. Looking at the available data published in the Li paper what are the data. So from the 2 original animals in a sample of around 100 “pigs” indels have been introduced at nearly 100 per year, SNP have been introduced at 4160 per year and a new gene is introduce every 1-2 years. Do you think these numbers will decrease if we add warthog into the mix? You obviously can declare anything you want in terms mutation rates and how many SNP indels and genes were present in the 2 mythical pigs but how many can really be present in the original haplotypes. You have said before that copy number variation was not at all the basis for the genetic richness of the original 2. Could you give me a reference that shows this mutation rate occurring now? If not I will have to conclude that your model is simply a faith based assertion which I am quite happy to accept. Postulate one miracle you may as well postulate as many as credibility requires. If you do say it was done miraculously as I suspect Bill would do and Bob might, I would still say it is poor science according to the current well defined model of science but it is logically consistent and unassailable given the assumption of divine creation and divine dispersation and necessary recreation after the flood. I see no reason to argue for a significant difference in past mutation rates as compared to today’s rates. Consider that the pig genome is similar in size to the human genome, ~3 billion bases (haploid). The two pigs on the Ark could easily have had a 0.3% difference in genome sequences to start with (with regard to SNPs). Also, in each family line novel SNPs are produced in each generation for each individual at a fairly high rate (up to 100 per individual per generation). And, the generation time for pigs is ~1 year. A comparison between hundreds of pigs from different family lines, even within the same breeding population of average size, would yield a huge number of SNPs in very short order. So, I don’t see why this is an appeal to “magic”? As far as “unique genes” are concerned, much of this can be explained by a loss of genetic information by one population vs. the other after the split. This is one of the reasons for the “hybrid vitality” already mentioned. Producing such hybrids gives the hybrid offspring access to genes that are missing from each separate gene pool, but were originally available in the ancestral gene pool. Of course, the production of novel alleles is also a factor. And, in an average population, any beneficial allelic variation would become fixed in relatively short order. The differences in indels is interesting, but I see no need to invoke magic to explain a few hundred thousand indels in a comparison of hundreds of pigs – especially since muticharacter mutations are quite common as well and would already have existed within the first pair on the Ark to begin with. For example, there are thought to be thousands of conversion mutations per individual in each generation. Combine this with what is generally assumed to be a high rate of inversions/translocations, ~10 duplications/insertions/deletions (changing up to 20 times the number bases that point mutations change per generation), and >100 satellite mutations, and you have yourself a very high overall mutation rate that adds up to many thousands of nucleotide changes per individual per generation. Sean Pitman: I also believe that these simple changes can happen very rapidly. Yea I know because of some “magic” in the genetics in a population of 2 2000 years BCE. Your incredible ideas are unforgetable. We dont need to rehearse it again unless of course you have read up a little on population genetics and have some novelty to share. As far as I can tell, your only real argument was that such a population bottleneck would cause genetic meltdown and extinction. While this is often true today, it would not have been true much closer to Creation because there were far fewer detrimental mutations within the gene pools of all animals during the pre-Flood era. The level of detrimental mutations is the limiting factor here, not small population sizes or the actual mutation rates themselves. In any case, what does any of this have to do with explaining how the Darwinian mechanism can produce anything at higher levels of functional complexity? Why repeat this red herring distraction yet again? – when you know that nothing beyond very low levels of functional complexity is involved here? Sean Pitman: To be even more explicit, I do believe that all pigs/boars did come from the same gene pool (i.e., pig/boar hybrids are known that demonstrate “hybrid vitality”; Link), as did all dogs/wolves/coyotes come from the same doggy gene pool and all domestic cats/lions/tigers from the same cat gene pool, etc. Thanks you Sean. Now the subsequent question is why do you accept that boars and pig as genetically related by ancestory but not man and chimps. If you read the paper you will see that in fact there is greater genetic distance between pig and boar than between man and chimp. Loss of genes in the boar/pig is simply analogous to the y chromosome changes in human/chimp. Is this a 1000FSAAR or not? If you accept that pig and boar arose by a sequence of small genetic changes occurring by gene selection in a gene puddle then you must logically also accept that man and chimp arose by small genetic changes as well. Particularly as you have not identified either in pig/boar or in human/chimp any differences fulfilling your 1000FSAAR barrier beyond simply hinting that Y chromosome changes must be such. I do not believe there is such a barrier. You do but have never even attempted to identify it with any sort of specificity. I’m not talking about a loss of genes. I’m talking about a gain of a qualitatively novel protein-based function that requires a minimum of more than 1000 specifically arranged residues. Do you know of such a novel system or not? If so, please do present it here. Even if humans and chimps did have a common ancestor, how would this help you explain the evolution of higher level systems via RM/NS? – given that such has never been observed and is still statisically impossible this side of trillions of years of time? Such an argument has absolutely no explanatory power and is not scientific (being untestable in a potentially falsifiable manner). Just for fun though, is there such a difference between humans and chimps? As I’ve explained to you before, there do seem to be such differences on a macro scale – to include structural brain differences that result in higher-level functional differences that require, not just specific 1000aa structures, but entire cellular structures that enable humans to do things that chimps cannot do – things like write books and speak in complex sentences, etc. These functional advantages are not based so much on novel genes, as previously explained, but on how the products of similar genes are used to make different types of structures and systems based on non-coding DNA (which is significantly different between humans and apes). And, as far as I’m aware, there are no such higher-level functional differences between boars and pigs. Consider also that boars and pigs can interbreed to produce viable offspring. This cannot happen between humans and chimps. Again, you need to focus on functional systems, not genes. Do you have any example of any qualitatively novel system evolving that requires more than 1000 specifically arranged residues? You’ve yet to produce such an example or any mathematical argument that even allows for such an example. You seem to be trying to argue that it must happen because certain species simply must be related. Again, that’s not the same thing as producing an actual example or explaining how such evolution is statistically possible within the vastness of sequence space. I have given you many specific examples of higher level systems. Yet again, the rotary bacterial flagellar motility system requires a minimum of over 5000 specifically arranged amino acid residues positions to be in place before this type of function will be realized. No system at this level of functional complexity or beyond has ever been shown to evolve nor are there any statistically tenable models on how this might be achieved via random mutations and function-based selection. From 1964 to 2004, it was believed that humans are almost identical to apes at the genetic level. Ten years ago, we thought that the information coded in our DNA is 98.5% the same as that coded in chimpanzee DNA. This led some scientists to claim that humans are simply another species of chimpanzee. They argued that humans did not have a special place in the world, and that chimpanzees should have the same ’rights’ as humans. Other scientists took a different view. They said that it is obvious that we are very different from chimpanzees in our appearance and way of life: if we are almost the same as chimpanzees in our DNA sequence, this simply means that DNA sequence is the wrong place to look in trying to understand what makes humans different. By this view, the 98.5% figure does not undermine the special place of humans. Instead it undermines the importance of genetics in thinking about what it means to be a human. Fortunately (for both the status of human beings and the status of genetics) we now know that the 98.5% figure is very misleading. In 2005 scientists published a draft reading of the complete DNA sequence (genome) of a chimpanzee. When this is compared with the genome of a human, we find major differences. To compare the two genomes, the first thing we must do is to line up the parts of each genome that are similar. When we do this alignment, we discover that only 2400 million of the human genome’s 3164.7 million ’letters’ align with the chimpanzee genome – that is, 76% of the human genome. Some scientists have argued that the 24% of the human genome that does not line up with the chimpanzee genome is useless ”junk DNA”. However, it now seems that this DNA could contain over 600 protein-coding genes, and also code for functional RNA molecules. In the neatly aligned sequences we now find another form of difference, where a single ’letter’ is different between the human and chimp genomes. These provide another 1.23% difference between the two genomes. Thus, the percentage difference is now at around 72%. We also find places where two pieces of human genome align with only one piece of chimp genome, or two pieces of chimp genome align with one piece of human genome. This ”copy number variation” causes another 2.7% difference between the two species. Therefore the total similarity of the genomes could be below 70%. This figure does not take include differences in the organization of the two genomes. At present we cannot fully assess the difference in structure of the two genomes, because the human genome was used as a template (or ”scaffold”) when the chimpanzee draft genome was assembled. Our new knowledge of the human and chimpanzee genomes contradicts the idea that humans are 98% chimpanzee, and undermines the implications that have been drawn from this figure. It suggests that there is a huge amount exciting research still to be done in human genetics. The author is a research geneticist at the University of Florida. Sean Pitman: While this is often true today, it would not have been true much closer to Creation because there were far fewer detrimental mutations within the gene pools of all animals during the pre-Flood era. And this is your scientific argument? Sorry I cannot find anything like that even hinted at in the peer reviewed literature on population genetics. If I have not been able to make you see that a gene pool in a population of 30 or more is no different to a gene puddle in 2 individuals I have to suspect I cannot. Of course a population of 2 can increase under ideal conditions to thousands but the effective population size genetically is still 2. You claim that this can be overcome by rapid mutation rate but at the same time you claim that there are vastly more detrimental than useful mutations and there will be genetic meltdown because of the high mutation rates. Something like magic has to occur to compensate between these 2 conflicting events. I am of course presuming that both you and Bob believe population genetics is a scientific exercise and can legitimately studied by the methods of science. I do. We agree that boar/pig came from a common ancestor. I allow small changes and long time. You allow small changes but must then postulate phenomenal rates of change (I presume over 2000 years as I assume that the pigs in Jesus time were actually not much different to those you find in the middle east now). That’s not true as genetic mutations rapidly create genetic differences over short periods of time. No magic is needed to compensate between these ideas. It is a non-contested fact that the vast majority of functionally relevant mutations (i.e., non-neutral mutations) are detrimental to one degree or another. Is is also a non-contested fact that random mutations do rapidly produce novel alleles in a population. Is it possible that some of these allelic mutational changes can be beneficial? Absolutely. It happens all the time at low levels of functional complexity. Does this occasional beneficial change compensate for the overall detrimental mutation rate throughout the entire genome? No. It doesn’t when it comes to slowly reproducing creatures. I’m glad that you do. Now, why not be consistent in your own arguments regarding population genetics? @pauluc: Paul, I just want to interject that yes, I believe population genetics is a fully legitimate scientific exercise. However, while I find genetics fascinating, my knowledge of it is very limited, so I’m going to remain quiet as far as blogging is concerned and allow you and Sean to battle it out. I’m reading your comments, but not interjecting mine. is this a theological or scientific statement? Both. The science strongly suggests that there were fewer detrimental mutations in the past than there are today in the gene pool, and that more and more detrimental mutations build up in slowly reproducing gene pools over time. Sean Pitman: I’m talking about a gain of a qualitatively novel protein-based function that requires a minimum of more than 1000 specifically arranged residues. Do you know of such a novel system or not? just checked again. No. Pubmed still does not have any reference to novel structure composed of 1000 amino acid residues. But indeed there is refence to uinicorns so your 100FSAAR is rarer than unicorns in the biomedical literature. Perhaps you should publish your obvservations. Actually the paper on how the unicorn got its horn is relevant to your ideas and you should perhaps read and comment on it. And I do mean read beyond the abstract which is all you seem to do as far as I can see from what you have written. Do you know anything about the experiment where Lenski’s produced Cit+ E. coli bacteria? What Lenski did was to grow E. coli under oxic conditions in citrate-rich media. E. coli bacteria are generally unable to use citrate under oxic conditions as a source of energy. However, they can use it under anoxic conditions. In other words, they already have the gene for citrase in their genome. It is just that it is normally turned off under oxic conditions. How is it turned off? Well, the promoter for the gene that transports citrate into the bacterium is not active under oxic conditions. So, all that needs to happen is to move the citrate transport gene close to a promoter that is actually active under oxic conditions. Once this is done, citrate will enter the bacterium and be used for energy. And, this is exactly what happened. Nothing structurally new needed to be evolved. After about 31,000 generations, in a large population of bacteria, there was a single genetic mutation in a bacterium that ended up moving the citT gene and placing it under the control of a promoter (rnk) that is active under oxic conditions. The fact that just this single translocation mutation took so long to achieve should clue you in to how difficult it is to achieve even such low-level changes in function via random mutations. The protein product, however, remained the same – i.e., <500aa with no required amino acid changes to achieve a selectable effect. All that was required was to move a pre-existing gene close to a promoter to turn it on during oxic conditions. That's it. The protein itself didn't need to be changed for a useful advantage. Now, at this point, multiple copies of the gene were rapidly produced in some colonies. However, having just one copy was enough to produce a selectable advantage in the citrate-rich environment. It doesn't matter if there are 1 - 9 copies of the gene - the same function is realized to different levels - i.e., the cit+ function can exist, to a selectable degree, with just one copy of the gene producing the the very same protein. Additional "refinements" are easy once at least a minimum useful level of a particular type of function is realized - not a problem at all. Pubmed still does not have any reference to novel structure composed of 1000 amino acid residues. But indeed there is refence to uinicorns so your 100FSAAR is rarer than unicorns in the biomedical literature. Perhaps you should publish your obvservations. Tell me, what is the minimum number of specifically arranged amino acids required to produce a rotary bacterial falgellar motility system? Is it possible to reduce it to less than 1000 specifically arranged residues? – without a complete loss of the motility function? Again, the concept of functional complexity has been published and is well defined in literature, to include the minimum size requirement. I’ve already given you the references a couple times now. Sean Pitman: As I’ve explained to you before, there do seem to be such differences on a macro scale – to include structural brain differences that result in higher-level functional differences that require, not just specific 1000aa structures, but entire cellular structures that enable humans to do things that chimps cannot do – things like write books and speak in complex sentences, etc. Hand waving is not science. What exactly are the “entire cellular structures” that make the brain difference you are talking about. I have suggested this is all about quantitative difference not qualitative. I have said the primary candidates such as DUF1220 and Microencephalin are quantitatively different. And of course non-coding changes are all about regulation of the structural genes during development not the construction of some magical “entire cellular structures”. No 1000FSAAR here unless as you did before say that it applies to everything within any multi-molecular structure. It really doesn’t matter if I’m right or wrong about human vs. ape differences when it comes to my primary question. Your argument, even if you’re correct, is an irrelevant red herring. As far as my primary question is concerned, it doesn’t matter if humans and apes did or did not have a common ancestor or if they do or do not have unique systems at low or high levels of functional complexity. None of this addresses the question as to how higher levels of functional complexity might be produced by your proposed mechanism of random mutations and natural selection. For example, let’s say that you’re right in your argument that there are no higher-level differences between humans and apes. Well then, there’s no problem for the Darwinian mechanism is there? That still doesn’t explain the higher level differences that do in fact exist between various living things. It doesn’t explain where molecular machines at higher levels of functional complexity, like the rotary bacterial flagellum or ATPsynthase or DNA replicase, came from? It doesn’t explain where qualitatively novel organ systems came from either – such as various qualitatively unique vision systems. How were these highly complex machines produced by random mutations and natural selection from some ancestor that did not have such machines? This is the primary question and your arguments simply do not address this question as to how your mechanism can explain such machines? – machines that require, at minimum, thousands of specifically arranged residues? How does this happen via random mutations and function-based selection? You simply do not know – and nobody else does either. Why not admit it already? The closer we come to the end of time, it would seem it must come down to those who admit biblical authority vs. those who don’t. For thousands of years the Jews have “kept the bible Sabbath” on some level. When they give it up for Sunday keeping, they must first admit some authority outside scripture. While Sunday keeping vs. the bible Sabbath is the outward final test, it is backed by those who accept scripture vs. those who don’t. And those who don’t, must at some point admit they don’t. Otherwise, we will have ongoing and infinite bickering from now ’till dooms day. God will eventually “force” those who have abandon the bible to say so. At the present time, many “claim” to believe the bible on both sides of any and all issues. This resolves nothing. It must first come to a showdown the makes all who don’t accept the bible finally admit it. This is how Protestantism vs. Rome eventually came to a final showdown. And Rome eventually admitted the church was not subject to scripture in their evaluation. Once this showdown is completed, then the other issues will naturally resolve themselves because the bible is very clear on all the issues presently being debated. This means, those who opt for obscurity will abandon the bible because they claim it is not clearly revealed what is truth, and what is not, on any given issue. Sean, I think you’re being a bit hypocritical. You insist that evolutionists must have firm evidence for a mechanism in hand to explain their interpretation of how life has become as we see it today. Yet you cannot explain yourself the mechanisms by which your own interpretation works. 100 years ago we had no clue that genes could promote cancer. Lacking a mechanism, we could have argued that cancer had nothing to do with our genes. The flaw in any such argument should be obvious to an intelligent mind. Your argument that evolution cannot work because Paul Cameron or anyone else lacks a precise mechanism to overcome your declared barrier (1000 fairly specified amino acid residues) is based on the fallacy of ignorance. Then I suppose SETI science, forensic science, and anthropology are all based on the “fallacy of ignorance” as well? – since these scientists can’t think of any mindless natural mechanism to explain certain types of radio signals, murder victims with certain unnatural features, or pieces of rock with artefactual features? I’m sorry, but there is no fallacy with the argument for the detection of intelligent design behind various kinds of artefacts – like the origin of a highly symmetrical polished granite cube. It isn’t that these scientists are ignorant of how the phenomenon in question could have been produced by intelligent design. They know how the features they’re considering could have been produced by many different intelligently designed methods. What they don’t know is how the artefact in question could have been produced by any known mindless mechanism of nature. That, my friend, is the very basis of all sciences dealing with the detection of true artefacts of intelligent design. The very same thing is true of the biomachines within living things that I’m presenting. Clearly, these machines very closely resemble machines that we know were produced by intelligent design. We known and understand how such machines could be produced by various means by intelligent design. What we don’t know is how they could be produced by any mindless natural mechanism this side of a practical eternity of time (i.e., trillions upon trillions of years). This means, of course, that the very best scientific conclusion, the theory with the best predictive power, is that any such biomachine was almost certainly produced by intelligent design. Now, does the intelligent designer of these biomachines have to be God? No. Not at all. Omnipotence is not required to explain something like a bacterial flagellar motility system. However, even though omnipotence is not required to explain the origin of such machines (to include things like a wrist watch or a granite cube), intelligence of some kind is required. Does this therefore mean that God did not make something just because God-like power is not required? No. God can make simple stuff just as easily as you and I can make simple stuff. If it just that a God-like creative power is not required to explain everything that God can make. For example, is it possible for God to make a loaf of bread? – the same type of loaf of bread that your mother can make? Sure it is. It’s funny, don’t you think, that you don’t argue against SETI radio signals or highly symmetrical granite cubes as being anything other than obvious artefacts of intelligent design. Why then the double standard for biological machines that are even farther beyond any known mindless mechanism while being at least closely approximated the creative powers of known intelligent agents? Everybody must have “bailed out”. I haven’t seen anything posted for over two weeks. I have read a lot of SDA forums, and all I see is mass confusion on every level on almost every spiritual subject discussed. Most of our offical publications do little to clarify SDA doctrine and we are becoming more and more in harmony with generic Christanity. I don’t know if the church will “self destruct” or not. But it is in the process of doing so unless something more definitive is done to correct modern errors advocated and endorsed. I guess we will see the outcome in the near future. Gene, church members have been “buying the liberal message” for years. The Celebration Movement has been the most influencial spirituality to affect Adventism in the last several decades. And there is little evidence that it can or will change anytime soon. It is not likely there will ever be another “church” structure in this world, but we need not be surprised by a shaking that leaves all of us in some dilemma that we did not envision. Will all the apostates suddenly run out of the church when the “straight testimony” is presented? Maybe, but I doubt it. Perhaps we can re-claim our name, Seventh-day Adventist. A name many liberals will freely and readily abandon. EGW has defined bible Adventism in The Great Controversy, and this may be the final issue in deciding who a SDA is, and who is not. Many, if not most church members simply go to church and ignore the spiritual issues. This can’t last forever. We can defend the faith. But only God can create some given issue to cause division. And the Holy Spirit will surely do just that in the near future. Only after Jesus’ death and resurrection did the real dynamic of the division create a clear seperation between truth and error. Some simular issue will confront Adventism, even before the Sunday law. Our church leaders are doing all in their power to avoid this truth and cry “unity, peace and safety” but such a message will never hold the church together. A visible split must come in some way. We may not know exactly how, but we would be wise to prepare for it by searching the bible to know truth on all levels. Richard&#032Gates: With such a claimed mass of scientific evidence for organic evolution, it ought to be easy to show an opponent his error. Sean&#032Pitman: I also believe that these simple changes can happen very rapidly. Sean&#032Pitman: As I’ve explained to you before, there do seem to be such differences on a macro scale – to include structural brain differences that result in higher-level functional differences that require, not just specific 1000aa structures, but entire cellular structures that enable humans to do things that chimps cannot do – things like write books and speak in complex sentences, etc. Sean&#032Pitman: Please, don’t just site hundreds of irrelevant papers which you yourself haven’t read (aka: reference mining). Simply list off your actual argument to counter my position and the supporting evidence which effectively falsifies my claims. Sean&#032Pitman: I’m talking about a gain of a qualitatively novel protein-based function that requires a minimum of more than 1000 specifically arranged residues. Do you know of such a novel system or not? Now, at this point, multiple copies of the gene were rapidly produced in some colonies. However, having just one copy was enough to produce a selectable advantage in the citrate-rich environment. It doesn't matter if there are 1 – 9 copies of the gene – the same function is realized to different levels – i.e., the cit+ function can exist, to a selectable degree, with just one copy of the gene producing the the very same protein. Additional "refinements" are easy once at least a minimum useful level of a particular type of function is realized – not a problem at all. Bob&#032Helm: I wonder if our friend, Paul Cameron, has actually been to the Grand Canyon to see the Coconino Sandstone. I have, and what you have said about the flat contact line with the water-laid Hermit Shale is true. If the Coconino Sandstone had an eolian origin, that flat contact line with a water-laid deposit doesn’t make any sense. Sean&#032Pitman: Does a useful degree of adaptation to high altitude in Tibetan Boars necessitate, at minimum, necessitate a qualitatively novel protein-based system that requires more than 1000 specifically arranged amino acid residues? If you think so, please do present the novel system that evolved and provide its minimum size/specificity requirement. Sean&#032Pitman: To be even more explicit, I do believe that all pigs/boars did come from the same gene pool (i.e., pig/boar hybrids are known that demonstrate “hybrid vitality”; Link), as did all dogs/wolves/coyotes come from the same doggy gene pool and all domestic cats/lions/tigers from the same cat gene pool, etc. From 1964 to 2004, it was believed that humans are almost identical to apes at the genetic level. Ten years ago, we thought that the information coded in our DNA is 98.5% the same as that coded in chimpanzee DNA. This led some scientists to claim that humans are simply another species of chimpanzee. They argued that humans did not have a special place in the world, and that chimpanzees should have the same ‘rights’ as humans. To compare the two genomes, the first thing we must do is to line up the parts of each genome that are similar. When we do this alignment, we discover that only 2400 million of the human genome’s 3164.7 million ‘letters’ align with the chimpanzee genome – that is, 76% of the human genome. Some scientists have argued that the 24% of the human genome that does not line up with the chimpanzee genome is useless “junk DNA”. However, it now seems that this DNA could contain over 600 protein-coding genes, and also code for functional RNA molecules. In the neatly aligned sequences we now find another form of difference, where a single ‘letter’ is different between the human and chimp genomes. These provide another 1.23% difference between the two genomes. Thus, the percentage difference is now at around 72%. This figure does not take include differences in the organization of the two genomes. At present we cannot fully assess the difference in structure of the two genomes, because the human genome was used as a template (or “scaffold”) when the chimpanzee draft genome was assembled. Sean&#032Pitman: While this is often true today, it would not have been true much closer to Creation because there were far fewer detrimental mutations within the gene pools of all animals during the pre-Flood era.